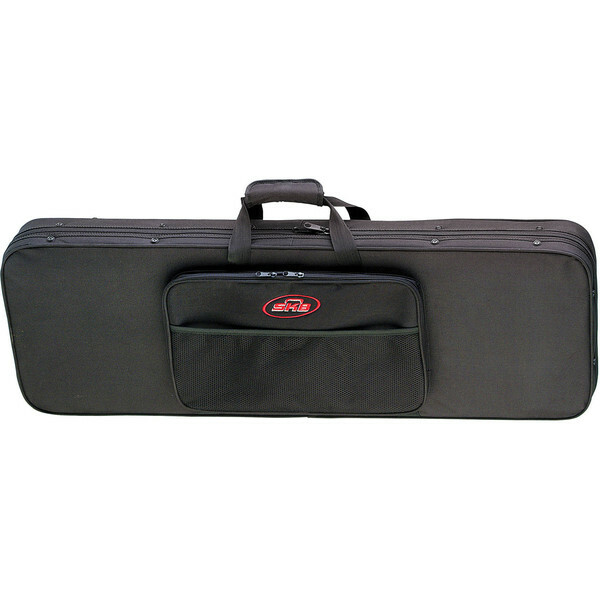 The SKB SC66 Electric Guitar Soft Case, EPS Foam is a highly-durable, lightweight transport case designed to accommodate most traditional body styles including left and right handed electric guitars. This heavy duty soft case provides the perfect balance between durability and comfortable design. The soft case features a double pull zipper, carrying handle and padded backpack straps for easy transportation plus a convenient accessory pouch on the interior. This highly durable soft case provides the perfect balance between protection and comfort when transporting your instrument. The case features the same rigid foam inserts found in SKB's hard-shell cases but with the comfort and portability of a soft gig bag. 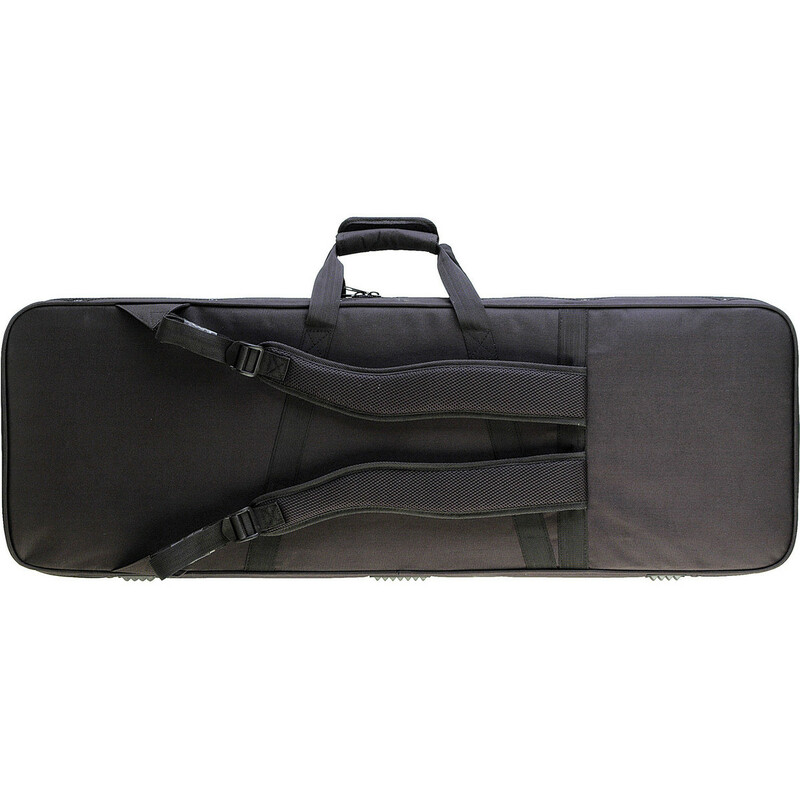 The soft-case is comprised of a rugged, weather resistant 600 denier ballistic nylon exterior for maximum durability and protection against damage while transporting your instrument. 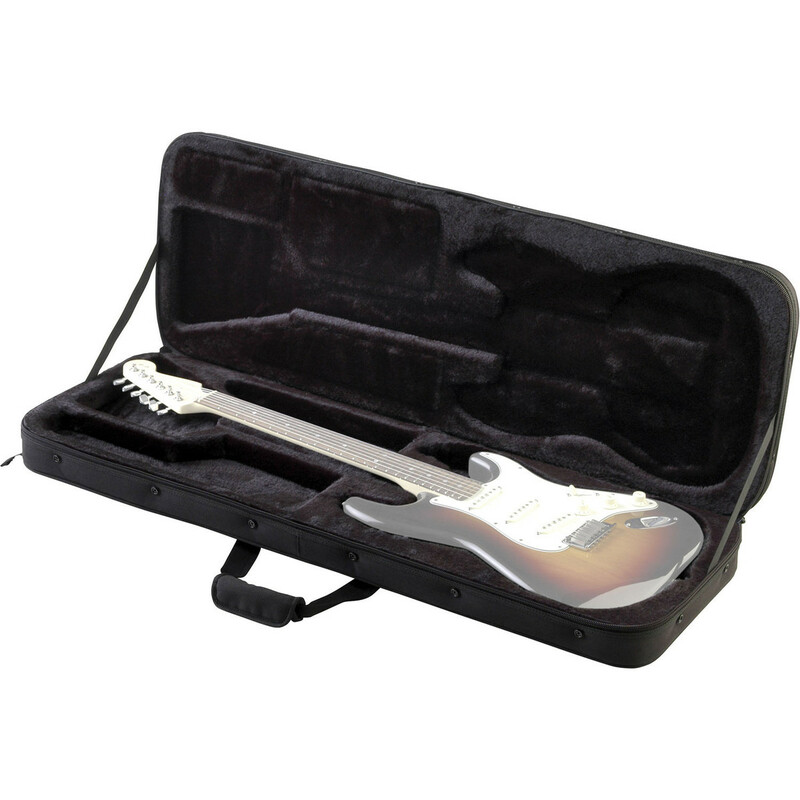 On the inside, the case features the same rigid EPS foam interior normally found in hard-shell cases, providing added protection ensuring your instrument stays secure inside, combating against any scratches or superficial damage. The exterior features a pouch for storing accessories as well as an adjustable padded backpack strap for ease of transportation.